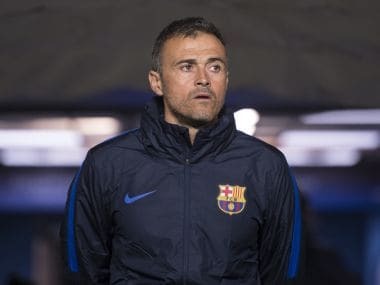 Barcelona: Barcelona coach Luis Enrique ended speculation over his future on Wednesday by confirming he will leave the Catalan giants at the end of the season, blaming the huge pressure of the job for his decision. "I will not be the coach of Barcelona next season," Enrique said after Barca's 6-1 thrashing of Sporting Gijon in La Liga. "It is a difficult, measured and well thought out decision and I think I have to be loyal to what I think." Enrique's contract is due to expire at the end of the season. The former Barcelona captain has won eight trophies in his three seasons in charge, including a treble in his first campaign and a La Liga and Copa del Rey double last season. Barcelona president Josep Maria Bartomeu said Enrique would go down as one of "Barca's legendary coaches." 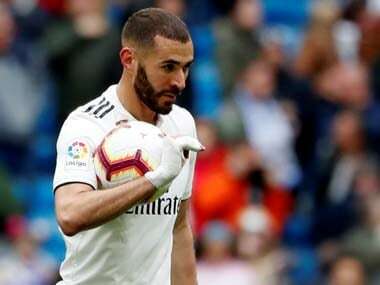 However, his future was placed in serious doubt after Barca's 4-0 thrashing at the hands of Paris Saint-Germain in the first leg of their Champions League last 16 tie two weeks ago. "There are three exciting months ahead," Enrique added. "We are in a difficult situation, especially in one competition, but with the help of everyone and if the stars align we can turn that game around. "I will give my full dedication in these three months." 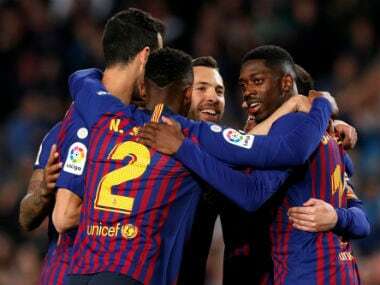 Like his friend and former teammate Pep Guardiola, who stepped down after four glorious years in charge of Barca in 2012, Enrique highlighted the pressures of the top at the Camp Nou as his reason to step down. "The reason is the way in which I live this profession. It means very few hours of rest." However, midfielder Ivan Rakitic said Enrique's decision left the Barca players "open-mouthed". "The coach came into the dressing room and told us before the press conference," said Rakitic. "We were all left a bit open-mouthed. We didn't know he was going to announce it today. "He has all the support of the dressing room. We will do everything we can to do our best in the months to come." Manchester City manager Guardiola paid tribute to Enrique's three "unbelievable" years in charge. "As a Barcelona fan, I'm sad that we'll miss the perfect trainer for Barcelona," Guardiola posted on his official Twitter account. "His three years they has played unbelievable football." Sevilla boss Jorge Sampaoli is the early favourite to take charge next season after leading the Andalusians to an unlikely La Liga title challenge and into the Champions League last 16 in his first season in Spain. Athletic Bilbao coach and former Barca player Ernesto Valverde is also a leading candidate. 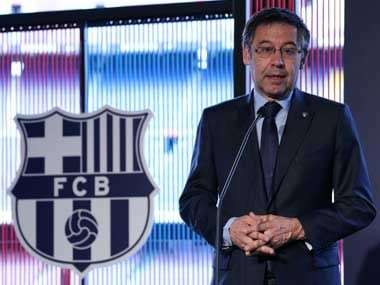 "We will work with discretion and from July 1 we will announce the name of the new coach," added Bartomeu. "We don't have to speculate more for now and we need to concentrate on the future. "We have La Liga, the game against PSG, the Cup final and much more work to do in the months ahead." Victory over Sporting took Barca a point clear of Real Madrid at the top of La Liga, but Real have a game in hand. 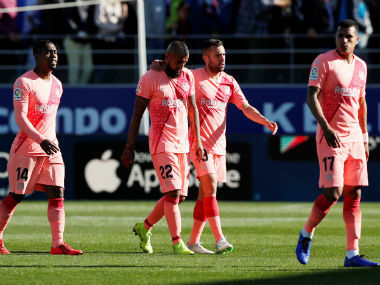 Unless Barca stage an unlikely comeback against PSG on March 8, Enrique's final game in charge will be against Alaves in the Copa del Rey final on May 27.